Coralie Schoemaecker is a research associated at CNRS (National Research Scientific Center) working at Université Lille Nord de France and affiliated to PC2A laboratory for 10 years. She has done her PhD thesis in Lille (defended in 2002) which concerned the development of laser-based techniques for the quantification of reactive species. She works now on kinetic involving reactive species like HOx radicals, in the context of atmospheric chemistry and indoor air chemistry. She is involved in the development and use of a FAGE set-up dedicated to OH and HO2 quantification in atmospheric conditions and participated and organised to indoor field campaigns, coupling large indoor field campaigns involving instruments with high temporal resolution. Jon Abbatt is a faculty member in the Department of Chemistry at the University of Toronto. He obtained his PhD in atmospheric and physical chemistry from Harvard, did a postdoc at MIT, and has been a faculty member in both the University of Chicago and Toronto. His research interests are largely driven by the different ways that multiphase chemistry affects the atmosphere, through both reactive processes and cloud formation mechanisms. His research group works in both the lab and the field, in particular in remote regions such as forested environments and the high Arctic. His recent interest in the chemistry of the indoor environment has arisen through the overlaps that exist in the heterogeneous chemistry that occurs both indoors and outdoors. Manabu Shiraiwa is a Research Group leader in the Multiphase Chemistry Department at the Max Planck Institute for Chemistry Mainz, Germany. He has worked at California Institute of Technology as a JSPS postdoc fellow (2012-2013). He has received PhD in August 2011 from Max Planck Graduate Center-Johannes Gutenberg University Mainz. His current scientific research are focused on the properties and interactions of bioaerosols and their effects on atmospheric chemistry and human health. His interests are especially on kinetic modeling and experiments on gas uptake and chemical transformation of atmospheric bioaerosols and organic aerosols. Delphine Farmer is an Assistant Professor of Chemistry at Colorado State University. She received a MS degree from the University of California at Berkeley in 2001 in Environmental Science, Policy and Management, and a PhD degree in 2006, also from UCBerkeley, in Chemistry. She received a NOAA Climate and Global Change Postdoctoral Fellowship to study the interactions between particle deposition, chemistry and biosphere-atmosphere interactions over forests before joining the faculty at Colorado State University. Her research interests lie in the interactions between atmospheric chemistry, ecology, and climate change, and her group develops new mass spectrometry instrumentation to study the processes relevant to trace gases and particles. Isabella Annesi-Maesano is Research Director at the French NIH (INSERM). 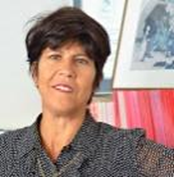 Since 2006, she head, the Department of Epidemiology of allergic and respiratory diseases at the Institute Pierre Louis of Epidemiology and Public Health of INSERM and Université Pierre and Marie Curie (UPMC) in Paris. Presently, she is Professor of Environmental Epidemiology at Université Diderot and UPMC in Paris Her research questions include the health effects of indoor and outdoor air pollution through an accurate objective assessment of individual exposure to air pollutants and health phenotypes. In this respect, her field surveys targeted health effects of various air pollutants in individuals in urban and rural areas, dwellings, schools and nursing homes. A particular attention in her work is given to the prediction of air pollutants concentration through sources which can be very useful in the absence of objective assessments, and to multi-pollutant mixture exposure. Dr Annesi-Maesano is a respiratory epidemiologist by training through a PhD, a DSc and a post-doc (Department of Public Health Sciences at St George’s Hospital, London) in Epidemiology and Public Health. She graduated in Physics (Rome) and Medicine (Paris). Presently, she is Associate Editor of 7 international journals. Charles Weschler received his Ph.D. from the University of Chicago. In 1975 he joined Bell Laboratories as a research scientist in the Physical Chemistry Division. He conducted research at Bell Labs and Bell Communications Research until 2001. While a researcher at Bellcore he was named a Distinguished Member of Technical Staff and was elected a member of the International Academy of Indoor Air Sciences (1999). In 2001 he retired from Bellcore and accepted positions at the Environmental & Occupational Health Science Institute and the International Centre for Indoor Environment and Energy, Technical University of Denmark. He has continued in those positions through the present. In 2010 he joined the faculty of the Building Science department at Tsinghua University (Beijing) as an ongoing Visiting Professor. He is also an Adjunct Professor in the UMDNJ School of Public Health. Jochen Stutz received his PhD in physics from the University of Heidelberg in 1996. After working as a postdoctoral researcher at University of California Irvine and University of Heidelberg, he joined the Department of Atmospheric and Oceanic Sciences at University of California Los Angeles as a faculty member in 1999, where he currently serves as professor and chair. His research group studies the chemical and meteorological processes controlling nocturnal boundary layer composition, and the chemistry of reactive nitrogen species and reactive halogen species in the atmosphere using observations and model calculations. Nicola Carslaw is a Reader in Air Pollution at the University of York. Her research interests are in the general fields of atmospheric and indoor air chemistry, using detailed chemical models to investigate chemical processing that occurs both indoors and outdoors. Her atmospheric modelling work focused on radical chemistry and this has also been of interest in indoor environments. The indoor studies have also investigated routes to the formation of key secondary pollutants indoors such as particulate matter, as well as the composition of indoor air pollution following cleaning activities. The eventual aim is to highlight species that may be of relevance to health. Her expertise has recently been recognised through her appointment onto the UK Department of Health COMEAP (Commitee on the Medical Effects of Air Pollution). Sergey Nizkorodov received his undergraduate degree in biochemistry from Novosibirsk State University, Russia, in 1993 and graduate degree in chemical physics from Basel University, Switzerland, in 1997. After doing his postdoctoral research in chemical kinetics and reaction dynamics at the University of Colorado at Boulder, and in atmospheric chemistry at the California Institute of Technology, he joined the faculty of the Department of Chemistry, University of California, Irvine (UCI) in 2002. His research group at UCI investigates chemistry of particulate matter in the ambient atmosphere and in indoor environments using state-of-the-art spectroscopic and mass-spectrometric techniques. Dwayne Heard is Professor of Atmospheric Chemistry in the School of Chemistry at the University of Leeds. His research interests include the field measurement of short-lived free-radicals and intermediates in the atmosphere from surface- and aircraft-based platforms, in particular OH, HO2, RO2, OH reactivity, IO, formaldehyde and glyoxal using laser-induced fluorescence spectroscopy at low pressure (FAGE). His group has participated in 27 field campaigns worldwide since 1996 and data are compared with constrained box models using the Master Chemical Mechanism. Other research interests are laboratory and chamber studies of gas phase and heterogeneous processes occurring in the atmospheres of Earth and other planets and interstellar space. He an editor with Chem. Soc. Rev. and Atmos. Meas. Tech. Sébastien Dusanter received his Ph.D in 2002 from the University of Lille and was successively appointed as a postdoctoral research associate (2005-2009) and assistant scientist (2009-2011) at Indiana University. In 2011, he joined the atmospheric sciences and environmental engineering department at Mines Douai, France, where he currently holds a position of ‘Maitre assistant’ (equivalent to assistant professor). His research addresses uncertainties associated with several aspects of atmospheric chemistry through both laboratory and field experiments, including the radical chemistry, the fate of primary emitted trace gases, and the formation of secondary pollutants. Recent research interests also include source apportionment studies of volatile organic compounds in indoor environments. Ray Wells began his research career working for Paul Wine (Georgia Tech) investigating hydroxyl radical and nitrate radical kinetics. He received a PhD in Physical Inorganic Chemistry from Northwestern University exploring the gas-phase kinetics of organometallic compounds. Ray then worked for the US Air Force assessing the atmospheric chemistry of industrial solvents. In 1999 he joined the National Institute for Occupational Safety and Health (NIOSH) in Morgantown, WV. Since 2001 Ray has investigated the gas-phase and surface-phase chemistry of terpenes present in indoor environments. Sasho Gligorovski is an Associate Prof. in the “Laboratoire de Chimie de l’Environnement” at the Aix Marseille University, France. He obtained his Ph.D. at 2005 under supervision of Hartmut Herrmann at the Institute for Tropospheric Research, Leipzig, Germany followed by one year of postdoc (2005-2006) with Christian George at IRCELYON. In 2006 he was enrolled as an Assistant Professor at the Aix Marseille University where in 2012 he finished his habilitation thesis. His research interest aim to elucidate the kinetics, mechanisms, and photochemistry of gas phase, aqueous phase and heterogeneous reactions occurring at the surface of particles, and on various indoor surfaces. Lately, his research interest is focused on investigating the sustainable photocatalytic materials that are aimed to better built environments. Barbara D'Anna is researcher at the CNRS (Centre National de la Recherche Scientifique) working at Institut de Recherches sur la Catalyse et l'Environnement de Lyon. She received her PhD in 2001 from University of Oslo, Norway, with a thesis on the fate of carbonyl compounds in the atmosphere under the supervision of Prof. C. Nielsen. She did her postdoctoral research on hygroscopic and volatility properties of marine aerosols at QUT, Australia, in 2004 and in aerosol photochemistry at UCI, USA in 2005. She joined the CNRS in 2006. Her research work focus on aerosol photochemistry and particle measurements in ambient air and in indoor environments. Paul Ziemann is a professor in the Department of Chemistry & Biochemistry and a CIRES fellow at the University of Colorado Boulder. He received a doctorate in Chemistry from Penn State University in 1991, was a postdoc in the Particle Technology Laboratory at the University of Minnesota until 1996, and then served as a member of the faculty in the Department of Environmental Sciences and Air Pollution Research Center at the University of California, Riverside until 2013 when he moved to Colorado. His research primarily involves laboratory studies on the kinetics, products, and mechanisms of atmospheric reactions of organic compounds and their role in aerosol formation and indoor air chemistry.